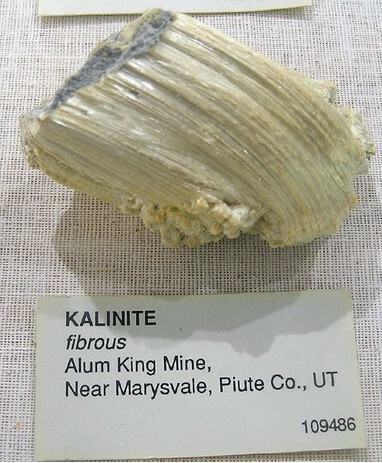 Kalinite: Mineral information, data and localities. For its potassium content (kalium). Currently valid, but non-existent species (Uwe Kolitsch, discreditation proposal to be submitted to IMA). Dana, J.D. (1868) System of Mineralogy, 5th. Edition, New York: 652. 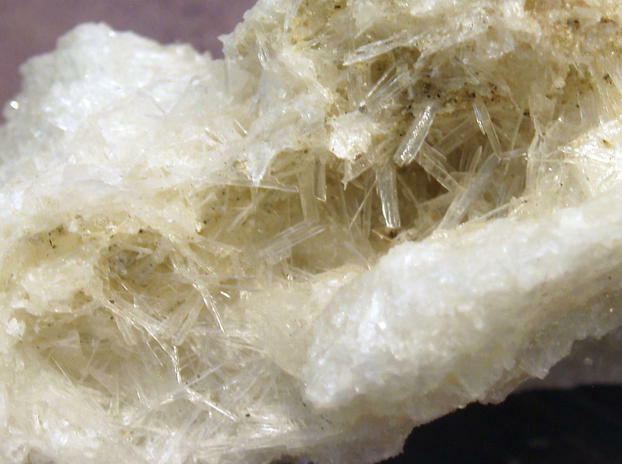 Weisbach, Albin (1875) Synopsis mineralogical, systematische Übersicht des Mineralreiches. 78 pp., Freiberg: 9. Winchell, A. (1931) The Microscopic Characters of Artificial Inorganic Solid Substances or Artificial Minerals. Second edition, 403 pp., New York and London. 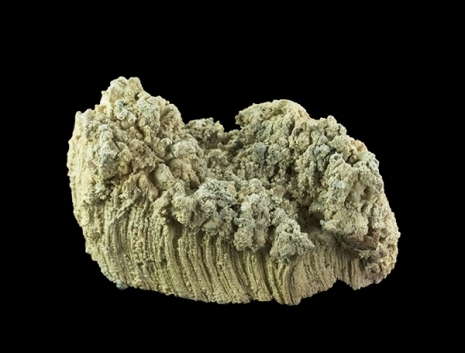 : 259 (as Potassalumite). Palache, Charles, Harry Berman & Clifford Frondel (1951), The System of Mineralogy of James Dwight Dana and Edward Salisbury Dana Yale University 1837-1892, Seventh edition, Volume II: 471. Waber et al. (1992) Jour. Geochemical Explor. 45, 53-112; WABER, N., SCHORSCHER, H.D., & PETERS, T. (1992) Hydrothermal and supergene uranium mineralization at the Osamu Utsumi mine, Poços de Caldas, Minas Gerais, Brazil. Journal of Geochemical Exploration, 45, 53-112. Khorasanipour, M. (2015). Environmental mineralogy of Cu-porphyry mine tailings, a case study of semi-arid climate conditions, Sarcheshmeh mine, SE Iran. Journal of Geochemical Exploration, 153, 40-52. Stoppani F.S., Curti E. (1982): I minerali del Lazio. Editoriale Olimpia, Firenze, 291 pp. ⓘ Faraglione Nico (Faraglione Piccolo; Faragghiune Nicu) ? PANICHI U. (1924): Contributo allo studio dei minerali dell'Isola di Vulcano. - Memorie della Società Italiana delle Scienze (detta dei XL) - serie 3 - 19, 3-55. Panichi, U. (1914): Contributo allo studio dei minerali dell’isola di Vulcano. Memorie di Matematica e Scienze Fisiche e Naturali della Società Italiana delle Scienze (detta dei XL), ser. 3, 19, 3-55; Forti, P., Panzica La Manna, M., Rossi, A. (1994): The peculiar mineralogic site of the Alum cave (Vulcano, Sicily). Proceedings of the 7th International Symposium on Vulcanospeleology (Canary Islands, November 1994), 35-44; Campostrini, I., Demartin, F., Gramaccioli, C. M., Russo, M. (2011): Vulcano - Tre secoli di mineralogia. Associazione Micro-mineralogica Italiana, Cremona, 344 pp. Martin, R., Rodgers, K.A., Browne, P.R.L. 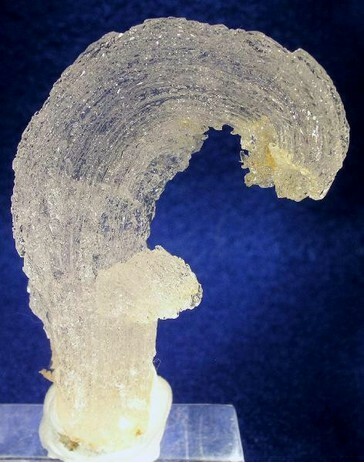 (1999) The nature and significance of sulphate-rich, aluminous efflorescences from the Te Kopia geothermal field, Taupo Volcanic Zone, New Zealand. Mineralogical Magazine, June 1999, Vol. 63(3), 413-419. Crespo, Á., Pimentel, C., Pedraz, P., & Pina, C. M. (2017). First occurrence of the rare mineral slavikite in Spain. Journal of Iberian Geology, 43(3), 487-495. Williams, A., Jr. (1883), Mineral resources of the United States: Mineral Resources US, 1882, XI, 813 pp. : 606; Murdoch, Joseph & Robert W. Webb (1966), Minerals of California, Centennial Volume (1866-1966): California Division Mines & Geology Bulletin 189: 293. Silliman, Benjamin, Jr. (1867a), A notice of the peculiar mode of the occurrence of gold and silver in the foothills of the Sierra Nevada, and especially at Whiskey Hill, in Placer County, and Quail Hill, in Calaveras County, California: California Academy of Natural Sciences Proceedings: 3: 351; Murdoch, Joseph & Robert W. Webb (1966), Minerals of California, Centennial Volume (1866-1966): California Division Mines & Geology Bulletin 189: 293. Murdoch, Joseph & Robert W. Webb (1966), Minerals of California, Centennial Volume (1866-1966): California Division Mines & Geology Bulletin 189: 293. Rogers, Austin Flint (1912), Notes on rare minerals from California: Columbia University, School of Mines Quarterly: 33: 376; Murdoch, Joseph & Robert W. Webb (1966), Minerals of California, Centennial Volume (1866-1966): California Division Mines & Geology Bulletin 189: 293. Williams, A., Jr. (1885), Mineral resources of the United States: Mineral Resources US, 1883-84, vol. 14, 1016 pp. : 949; Murdoch, Joseph & Robert W. Webb (1966), Minerals of California, Centennial Volume (1866-1966): California Division Mines & Geology Bulletin 189: 293. Hanks, Henry Garber (1884), Fourth report of the State Mineralogist: California Mining Bureau. Report 4, 410 pp. : 68; Murdoch, Joseph & Robert W. Webb (1966), Minerals of California, Centennial Volume (1866-1966): California Division Mines & Geology Bulletin 189: 293. Whiting, H.A. (1888), Mono County, California: California Mining Bureau. Report 8: 356; Murdoch, Joseph & Robert W. Webb (1966), Minerals of California, Centennial Volume (1866-1966): California Division Mines & Geology Bulletin 189: 293. Woodhouse, C.D. (1936), Change them every 10,000 miles: Mineralogist: 4(3): 37-38; Murdoch, Joseph & Robert W. Webb (1966), Minerals of California, Centennial Volume (1866-1966): California Division Mines & Geology Bulletin 189: 293. Larsen, Esper Signius (1921), The microscopic determination of nonopaque minerals: USGS Bulletin 679, 294 pp. : 94; Murdoch, Joseph & Robert W. Webb (1966), Minerals of California, Centennial Volume (1866-1966): California Division Mines & Geology Bulletin 189: 293. Martinez, José Longinos (1938), California in 1792 (Transactions L.B. Simpson, San Marino, California): 111 pp. : 39; Murdoch, Joseph & Robert W. Webb (1966), Minerals of California, Centennial Volume (1866-1966): California Division Mines & Geology Bulletin 189: 293. Mining and Scientific Press (1869), Mineralogical and geological notices: Mining and Scientific Press: 18: 264; Murdoch, Joseph & Robert W. Webb (1966), Minerals of California, Centennial Volume (1866-1966): California Division Mines & Geology Bulletin 189: 293. Morrill, 1960. New Hampshire Mines and Mineral Localities. ⓘ New York City ? Uklonskiy, A.S. [Уклонский, А.С.] (1964) Geochemistry of native sulphur [К геохимии самородной серы]. Uzbek Geological Journal [Uzbekskiy Geologicheskiy Zhurnal, Узбекский геологический журнал], 6, 5-10; Uklonskiy, A.S. [Уклонский, А.С.] (1982) Geochemistry of native sulphur [К геохимии самородной серы]. In: Problems of mineralogy and geochemistry. Selected papers [Проблемы минералогии и геохимии. Избранные труды]. Uzbek SSR Branch, Academy of Sciences Press [Издательство "Фан" Узбекской ССР], Tashkent, 66-71.